Removal and disposal of domestic rubbish is usually a time consuming and tricky process which most people would rather not deal with. Since this is totally understandable, we recommend using our specialised junk removal services in Chingford as the better, more efficient and manageable way to deal with the situation effectively. Our top quality junk removal solutions are available to all domestic customers in the E4 area. So what can we actually do for you? Well for starters we are the most reliable and experienced junk removal company in Chingford which counts for quite a bit, in our book at least. As such we have the technical capacity, service expertise and manpower to organise and carry out all types of residential rubbish removals, despite their scale or complexity. How do we make it happen? Easy – we work with specially trained technicians who go about their duties with professional pace, precision and efficiency. We maintain a fleet of specialised and fully equipped junk removal vehicles of various sizes and load capacity. We ensure the quickest possible loading times and avoid any costly delays. OK, so what type of rubbish removals do we deal with? Single odd items including old furniture, bulky appliances etc. Our specialised junk removals in Chingford also cover additional options like top to bottom house clearances and cost effective skip hire. There are no permits or waiting periods required to use our skip hire service. We have access to skips of various size and load capacity. We implement an extensive recycle and reuse program for salvageable waste material we come across. All recyclables are transported for processing immediately after collection. We have permits for using all recycling depots in London. 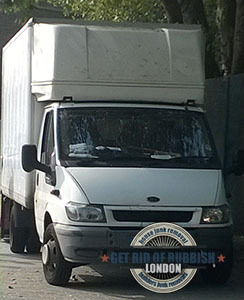 Cost wise, our rubbish removals in Chingford are the most affordable option available right now. We quote customers individually, if necessary onsite for more accuracy. We offer custom tailored pricing on all services. Our customers have access to punctual and attentive round the clock support via phone and email, seven days a week. We are able to accommodate for last minute bookings and overnight service requests without any extra fuss for customers. Chingford is a twentieth century suburb, which grew from a set of hamlets near the River Lea. First Chingford was a small riverside settlement, it is believed its name refers to a particular type of house favoured by the locals as the surrounding land was quite marshy and local houses were elevated on stumps to keep them safe from flooding. 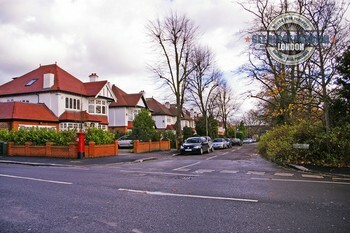 In modern times, Chingford remained a quiet and isolated area as there were no large developments or public transport. The railways reached Chingford in eighteen seventy three, and the first large housing development commenced in the mid eighteen eighties.